We bought the mirror from Walmart. It is easier to purchase a mirror without the frame. 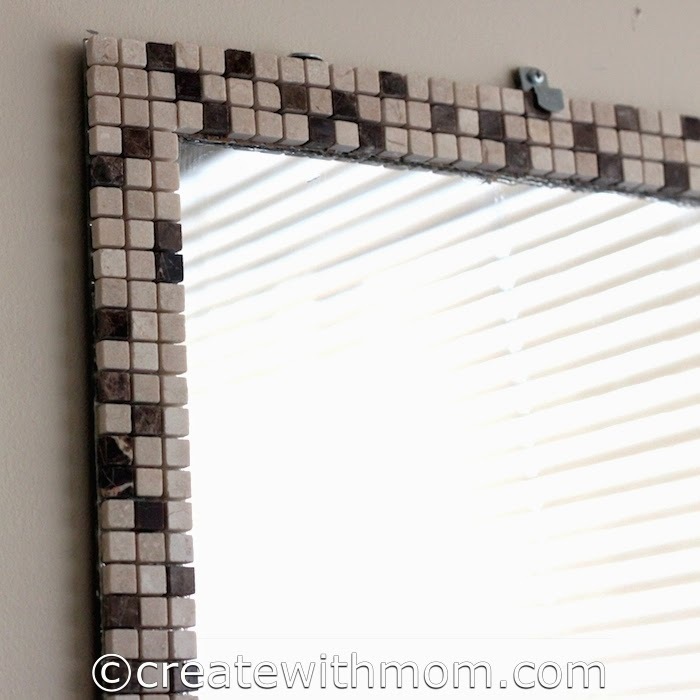 If you have a mirror with a frame then remove the frame to do this project. 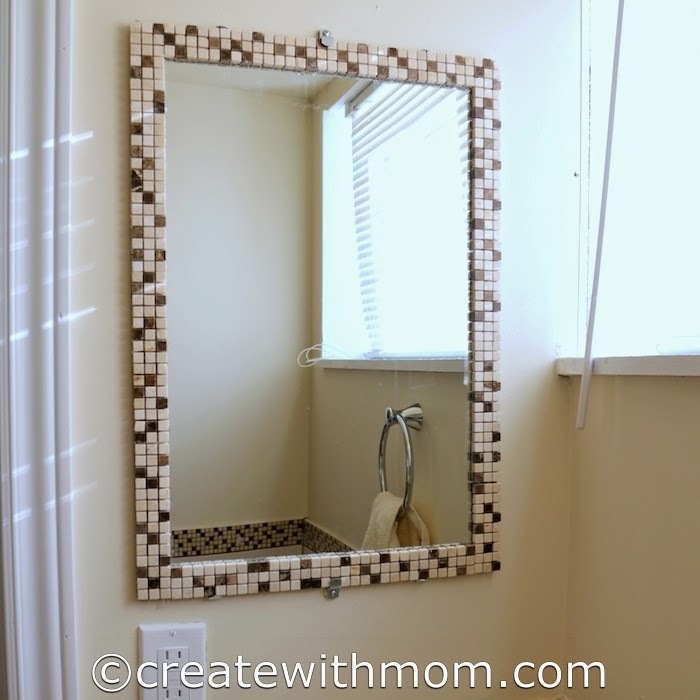 First, decide how many pieces of accent tiles you want around the mirror's perimeter. Then cut the tiles if needed to place the tiles. Then using the adhesive carefully glue the tiles around the frame and let it completely dry. Once the glue is dry clean up the edges before hanging the mirror and admiring the DIY decor mirror. That totally looks professionally made. Very beautiful mirror.